I’m sure you all know that I am a huge fan of Valentia and have reviewed several products in the past. 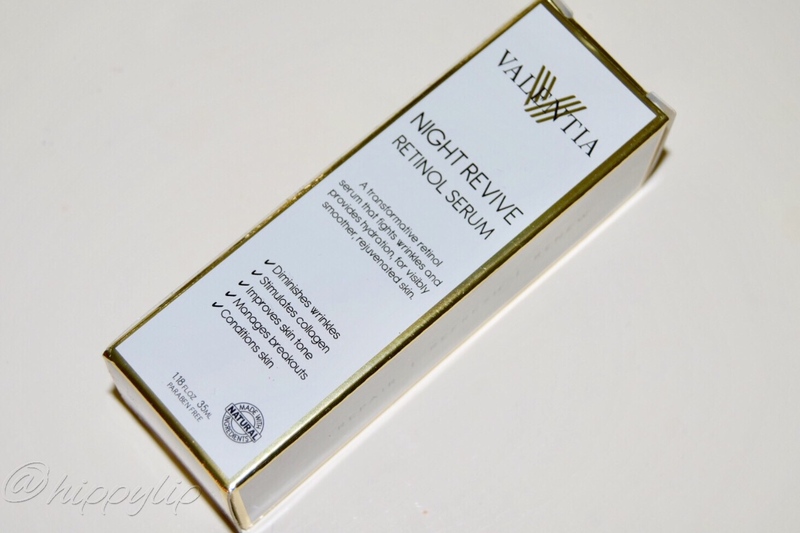 Today I have another product that is my absolute favorite so far, Valentia Night Revive Retinol Serum. Valentia, the Roman Goddess of Healing, relied on nature to heal the town of Umbria. Like it’s namesake, Valentia uses natural and organic ingredients to protect and repair the skin. You can check out their full line of products on their website. I am always excited to try the latest Valentia product because they are a brand I know and trust. Their packaging is always top-notch with color protected amber glass bottles, which is exactly what is required to protect quality natural ingredients. Some natural ingredients will breakdown with light penetration so it’s important to use a light protective packaging. 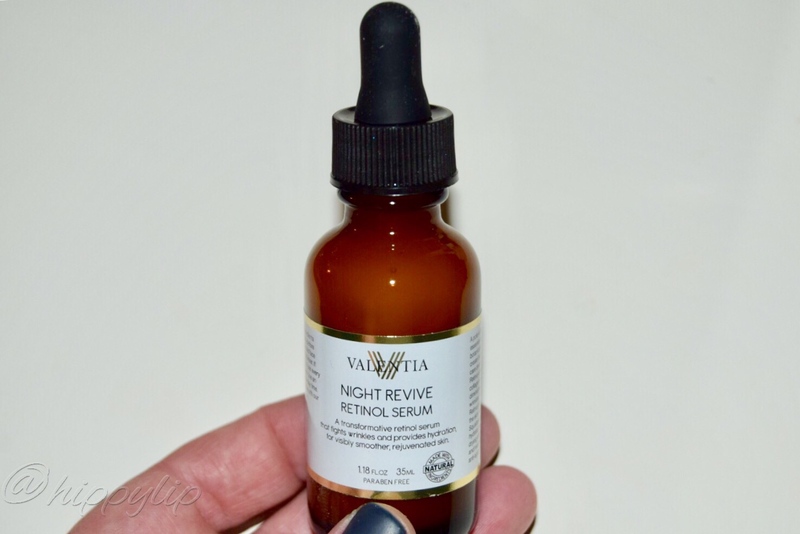 This is a review of Valentia’s Night Revive Retinol Serum. A potent blend of Retinol, with essential vitamins and botanicals specifically chosen to enhance Retinols efficacy work together to create the serum your skin care dreams are made of. Retinol works down to the cellular level to stimulate collagen production and diminish even the deepest of wrinkles. Vitamin C helps Retinol penetrate deeper into the skin, while Vitamin E and Squalane nourish and hydrate, counteracting the drying effects of Retinol and maximizing anti-aging benefits. This transformative retinol serum will turn back the clock, giving you visibly smoother, rejuvenated skin. Retinol (Vitamin A): This clinically proven antioxidant is a triple threat! It works at the cellular level to stop wrinkles from forming, manages acne breakouts, and even out skin discoloration. Retinol helps reverse the clock, for more youth looking and acting skin. Vitamin C: An essential nutrient that boosts Retinol’s protective effects, guarding skin against nasty free radicals and environmental damage to prevent premature aging. Vitamin E: Specifically chosen for its superior moisture protection. Vitamin E floods the skin hydration, diminishing the drying effects of Retinol. Squalane: Derived for pure olive oil, this nutrient-rich ingredient softens and conditions delicate skin. It further assists in mitigating the dryness caused by Retinol while reducing the appearance of fine lines. 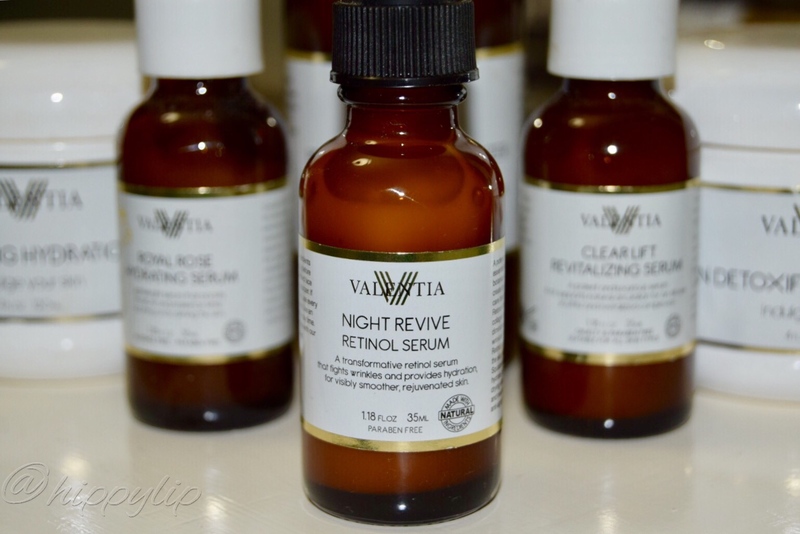 Night Revive Retinol Serum contains 1.18 ounces, which is a lot for a serum. There is a dropper style dispenser which I love because I can choose the amount to use alone or mixed with my moisturizer. The directions say to shake the bottle well with each use (natural ingredients will separate when sitting) apply to clean/dry face and decollete prior to moisturizing. If redness occurs then use every 2-3 nights. Use an SPF during the day. 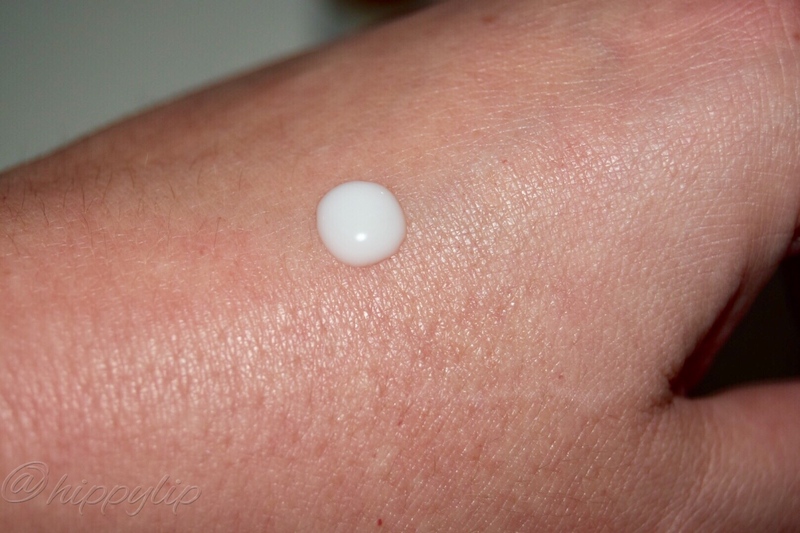 I know that some are sensitive to too much retinol and you can easily put a drop or two in your favorite moisturizer. 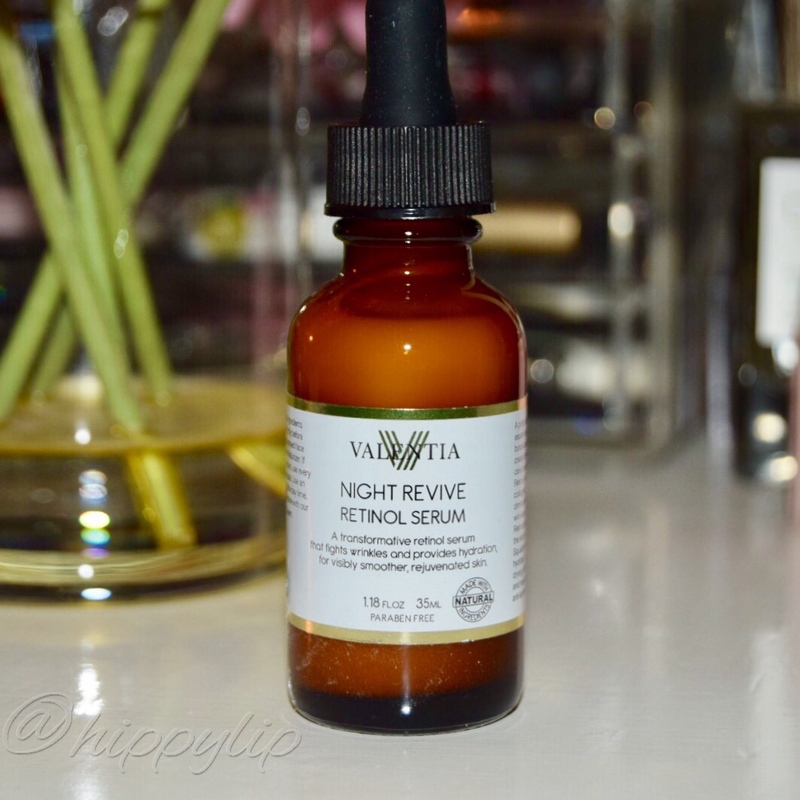 My Experience: I have been using Night Revive Retinol Serum every night for about two weeks. I use about 1/4 of the dropper in the palm of my hand and apply as if I would a moisturizer. This is not the consistency of a typical serum it looks like milk with the same color and consistency. I have used this alone without any moisturizer and it was more than enough. I had no redness, tingling, or burning sensation. There is a barely noticeable clean aloe scent. It absorbs fairly quickly with no tackiness or residue. In the morning I wash my face as I normally would. 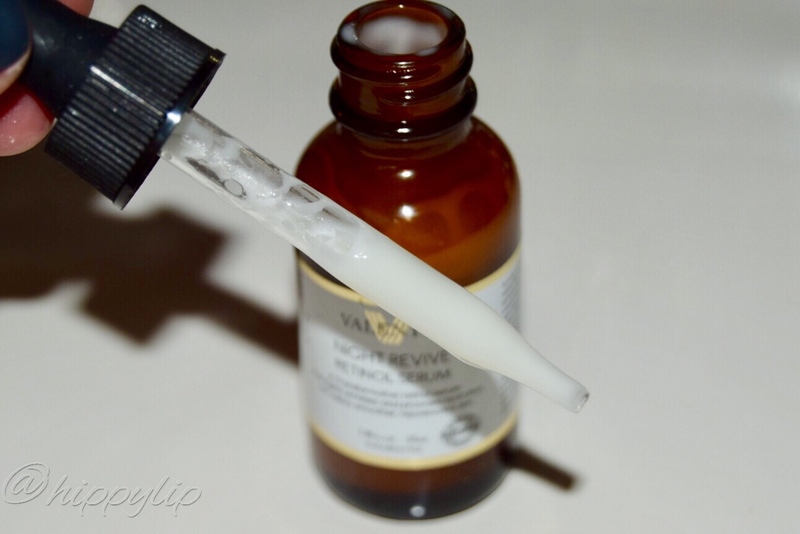 Review: After the first week I knew this was my holy grail serum. I’ve tried so many and they leave a sticky feeling, don’t agree with my skin, or offer no visible results. This serum is different because it feels like a moisturizer and my skin just drinks it up. I honestly wouldn’t need a moisturizer if the climate was warmer. After 3 days I felt a change in my skin, it was baby soft, and super smooth. I had a few people ask what I was doing differently because my skin looked so flawless. I even noticed the fine lines (that drive me nuts when applying foundation) had even gotten smoother. Wether you’ve never tried a retinol serum or you know your skin loves it, you NEED this serum in your life! It has changed my skin and I’m loving it. I rarely make a product HG status but here it is. Disclosure: I received these products in exchange for an honest review. All opinions are mine and 100% honest. Have you tried any Valentia products? What is your favorite Valentia product? Give Me Some Lip! Hi Cat!! Thanks you!! Yes, retinol can be scary especially around eyes. I should have mentioned in my review that I leave a pretty big gap around the eyes. I seriously don’t even feel a tingle with this. I’ve read lots about how great Squalane is but I’m not sure if any of my skincare featured this ingredient. I’m sure it’s the retinal for me, my skin loves it for some reason. No. I wouldn’t call it fickle, it’s what works best at that moment in time. There will always be something new coming along to one-up the previous. Until then…..this works. Haha.